Below some practical examples of applications using HANcoder and HANtune. 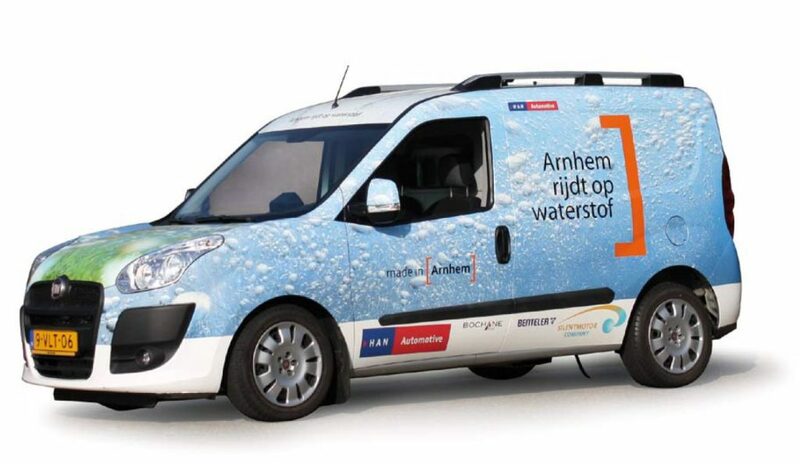 A Fiat Doblo was converted into a plugin hybrid, fuel-cell driven vehicle. The combustion engine was exchanged by an electrical drivertrain including a Li-Ion battery pack. On top, a custom fuel-cell system was developed and installed in the vehicle, combined with a 350 Bar hydrogen fuel tank. This fuel-cell system serves as range extender, allowing fast refuelling. The overall powertrain control as well as the complete fuel-cell control was developed using HANcoder and HANtune. A Bosch Rexroth Bodas RC36-20/30 controller is used to control the fuels cell and the powertrain. The complete control algorithm is programmed in Simulink, using HANcoder. No syntax based code was used for controller development. This vehicle was the first vehicle from HAN Automotive contending in the Shell Eco Marathon. The vehicle is driven by hydrogen. A custom fuel cell system was built by the ‘Hydromotive’ student team. They also developed their own fuel-cell control system. The control algorithms were developed using HANcoder and programmed in a Bosch Rexroth RC28-14/30. 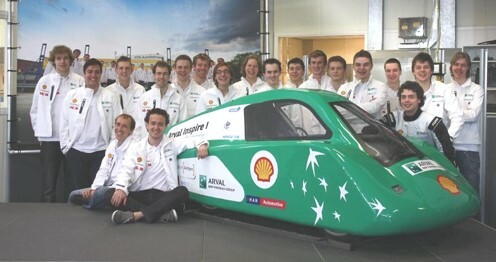 In this edition of the Shell Eco Marathon, this was the only vehicle for which the students developed the fuel-cell control completely by themselves. HANcoder and HANtune made this possible. 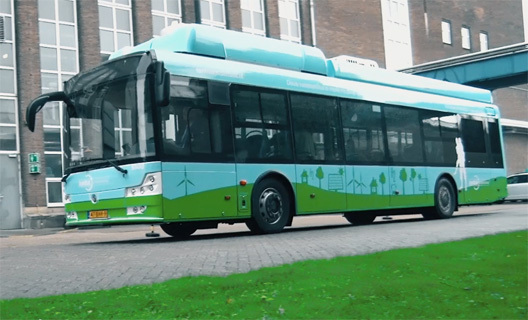 This zero-emission inter city bus is used on the trajectory Arnhem-Apeldoorn in the Netherlands. It contains a fuel-cell based powertrain, including a 30KW Fuel-cell based power module from HyMove. This module is programmed using HANcoder. A Bosch Rexroth Bodas RC28-14/30 controller is used to control the fuel-cell system. 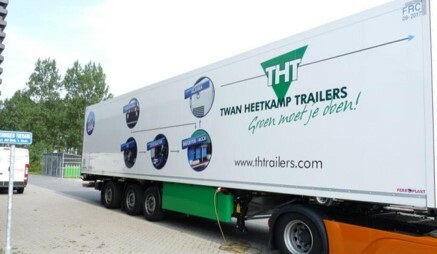 This innovative cooling trailer contains a special energy harvesting axle. An electric machine generates energy from braking or from the traction energy of a clean truck engine. The cooling system is electircally powered. When driving, the system uses energy coming form the axle. Energy is also stored in a battery pack, so the system continuous to operate when standing still. The New Cool provides a clean and silent alternative to colling trailers with a conventional diesel engine based generator. The integration control for the first prototype of The New Cool was developed using HANcoder.